Love seaglass? 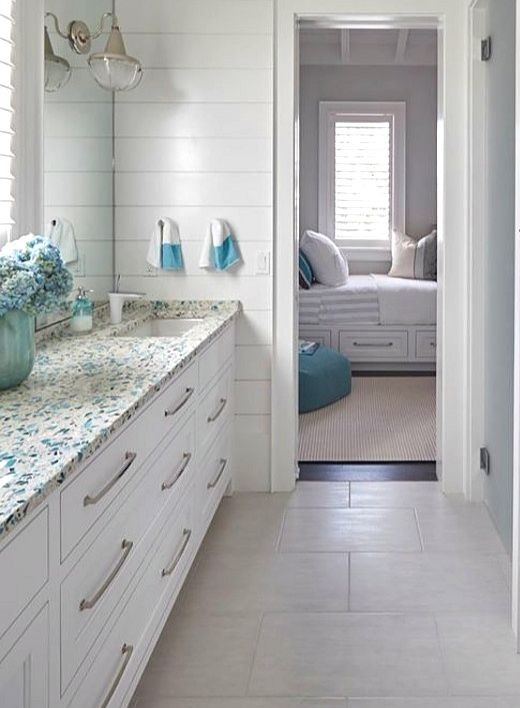 If your answer is yes, get the look for your kitchen countertop and/or bathroom vanity! 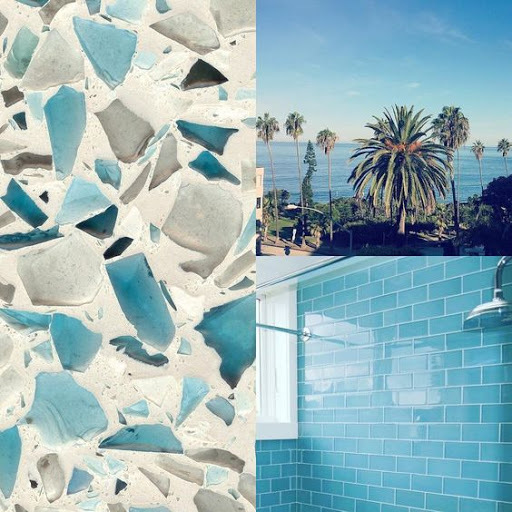 Vetrazzo's recycled sea glass style kitchen countertops and bathroom countertops capture all the gorgeous Seaside Colors we love. Shades of blues, turquoise, teal, seafoam, and other delicious hues. 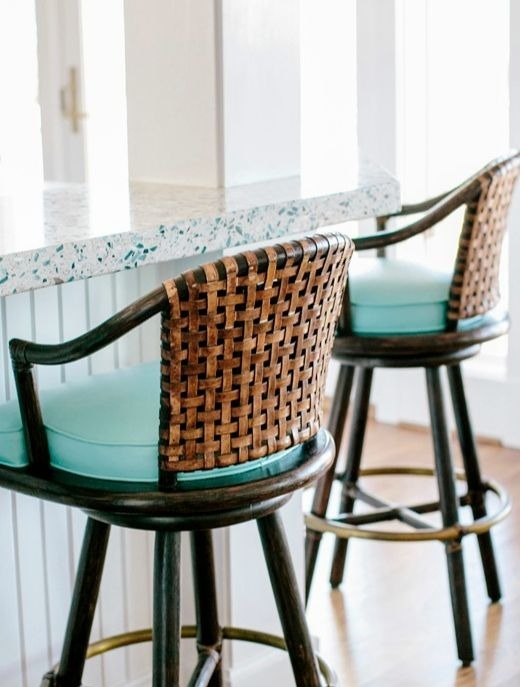 The countertops are crafted from recycled architectural glass and are available in a variety of styles, such as Floating Blue, Emerald Coast, and Bretagne Blue. And they are all made in America. 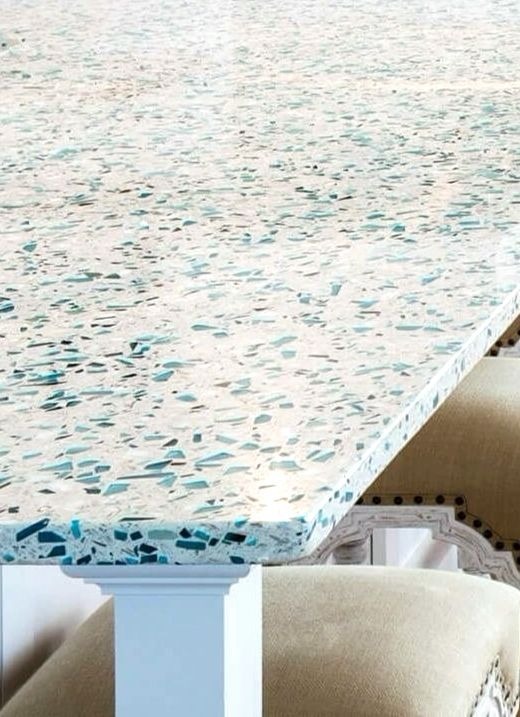 Vetrazzo's Floating Blue recycled glass countertop. Via Instagram. 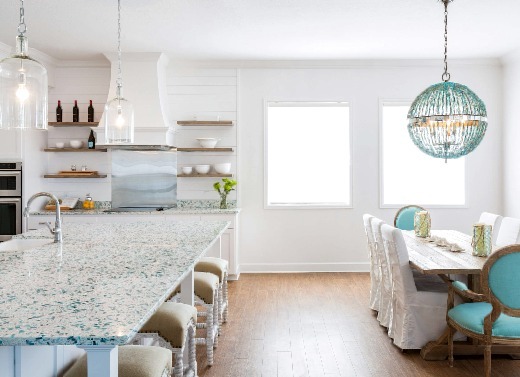 The Floating Blue recycled glass kitchen countertop really sparkles and gives the entire space an oceanic feel. 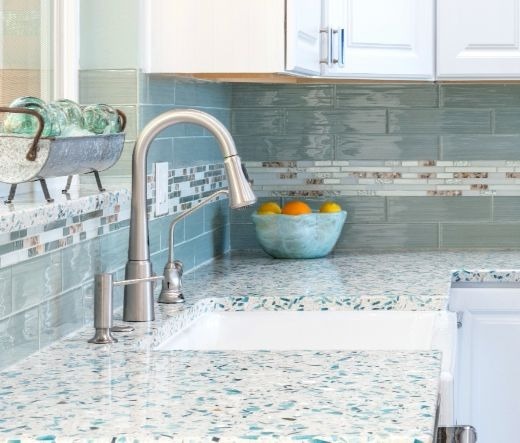 Vetrazzo's recycled glass countertops are comparable to granite in strength, scratch and heat resistance, and price. Close up of the Floating Blue kitchen countertop. 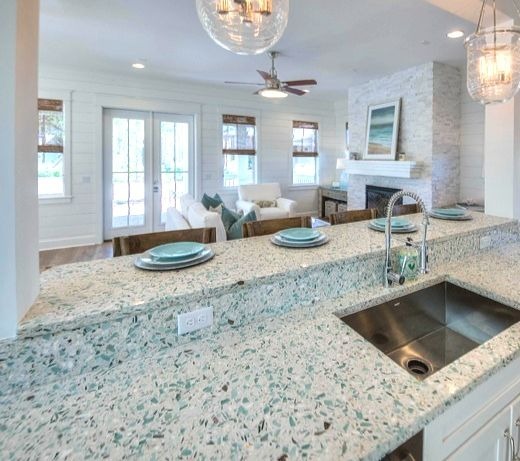 In the Emerald Coast glass countertop you sea a lot of beautiful sea greens. 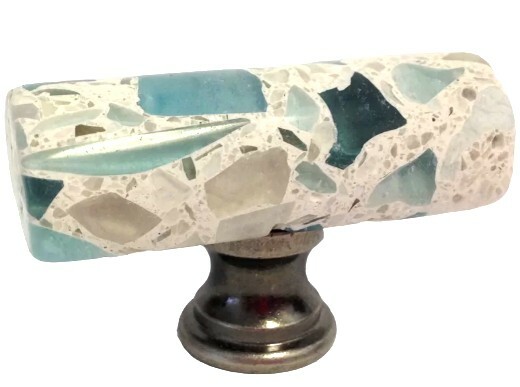 This sea glass style countertop also includes recycled South Carolina oyster shells. Via David Weekley Homes. 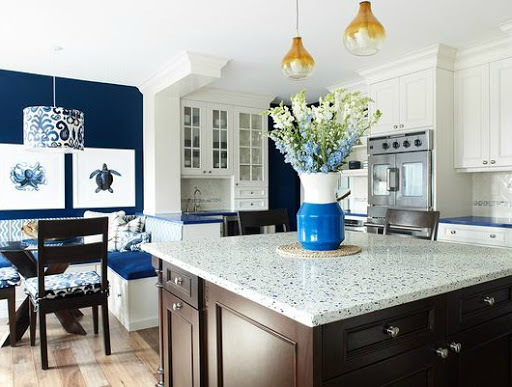 The Bretagne Blue kitchen glass countertop in a beach cottage by Cortney Bishop Design. 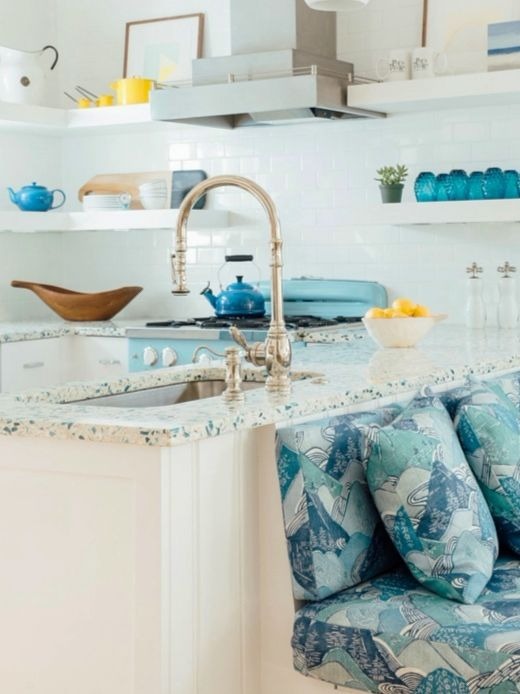 Another gorgeous coastal kitchen with a sea glass style countertop by designer Lindsey Cheek of Gathered. 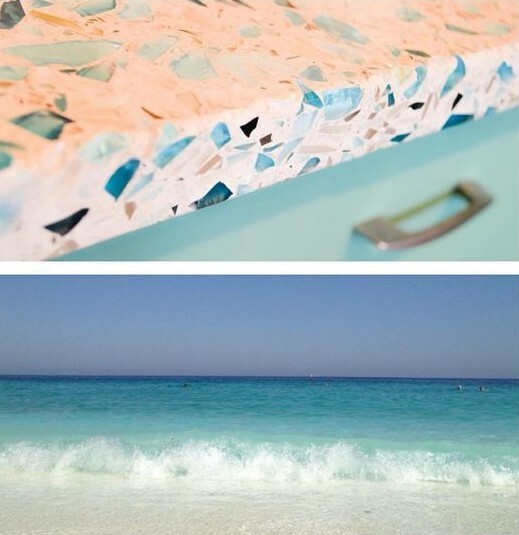 Recycled glass countertops that capture the hues of the sea. Via Instagram. 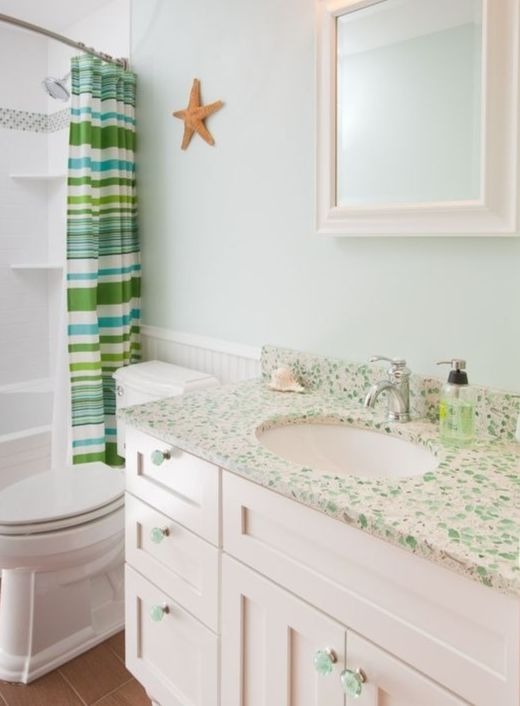 These sea glass style countertops look just as gorgeous in bathrooms. Here in a Florida home by Geoff Chick. The Emerald Coast glass countertop on a vanity by Castle.